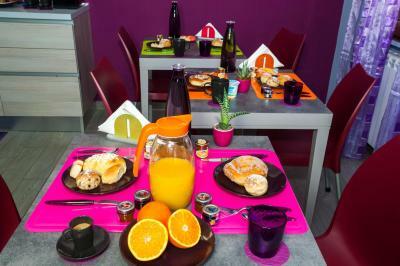 Lock in a great price for B&B Eco – rated 9.1 by recent guests! Excellent location, breakfast. Gino, the owner, was a wonderful, extremely friendly and helpful host. He even provided a pass so I could park my car for free at the main train station parking lot, which is only 2 blocks from the B&B. The B&B is in a very busy street, so parking anywhere closer is impossible. Great room with very good host. 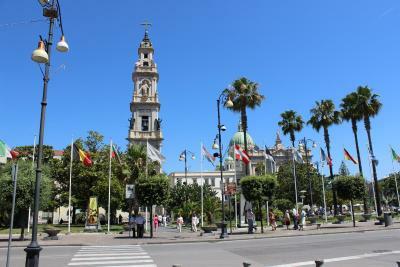 We had a great time and the staff was very helpful and generous with their time and knowledge of the area and things to do. Location was great-right by the ruins and in the center of town. The hosts were helpful and knowledgeable about directing us around pompeii. The room was large, well decorated, and clean. Breakfast was good. Parking was available and easy to get to with our small car. This is a new facility. 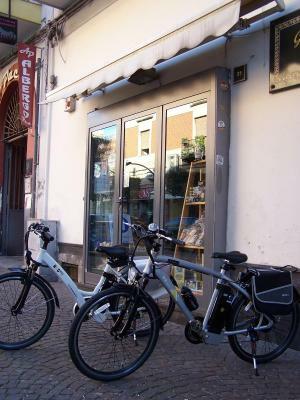 The owners are extremely friendly and helpful to coordinate anything. They provided coupons to go out for dinner and could easily advise on any inquiry we had about our holiday in Italy. 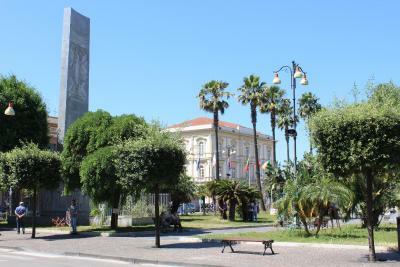 The location was awesome just steps from the pompei ruins, the central square, shops and the train station. The items in the bar fridge were very low priced. Breakfast was all fresh. I felt very safe. 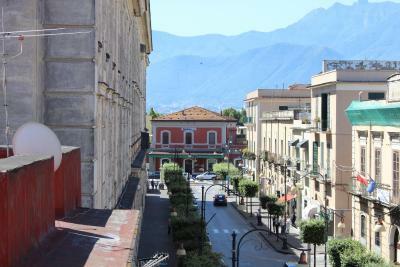 I wish we would have stayed another night in Pompei. The owner of Eco promoted various good places to eat. 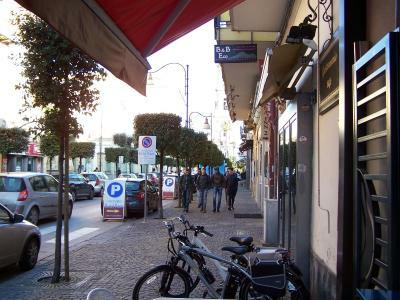 We went to Le Betola Del Gusto dining room right down the block from our hotel on the corner accross from the train station. 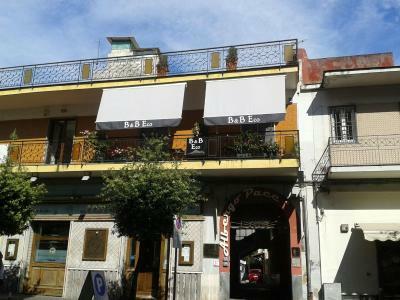 It was absolutely amazing - one of the best places we ate at in Italy - the service was 5 star. We also had pizza at the restaurant below the B&B and it too was awesome! The hosts were wonderful! We were met by Gino and Alessandro. Both were kind and very helpful. Our room was comfortable and colorful. 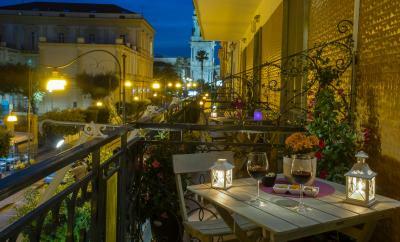 It was a nice quiet place with our own sweet balcony overlooking the Main Street of Pompei. We were greeted with helpful information for travel such as trains, buses and taxis. 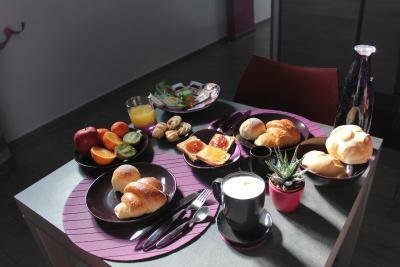 Our breakfast was part of the package- local breads and fruit. Cappuccino too! The set of stairs to the hotel were manageable. They offered to help us with our bags too. 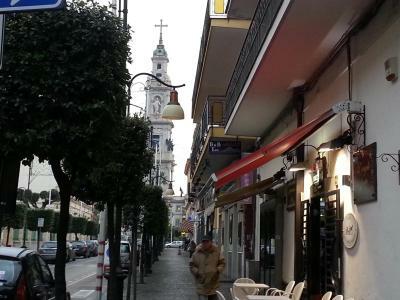 Trattorias near by are all good and nice quiet walks around the town. Both local trains and Trenetalia trains are easy to walk to. Fabulous easy day to Sorrento and Capri. Just know local taxi to Pompei site is 10 Euro max! Don't pay more. I highly recommend B & B Eco. Lovely spot for a nice calm stay and rest. They accept only Euro cash. It's worth it and it helps them to pay that way. The location and staff were the best. 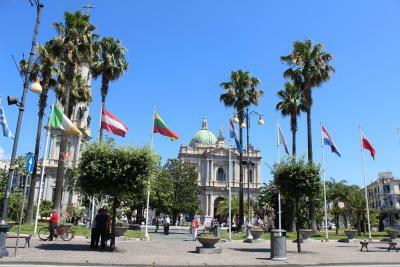 It was like a home base for us to come back to while siteseeing and shopping in Naples, Amalfi, Positano, mount Vesuvius, and the Pompeii ruins. Staff very friendly, especially Gino who gave us his parking pass as there were no spaces at the hotel. Breakfast was lovely and the balcony was peaceful. It was a very nice and well maintained property. We walked to Pompei . The restaurant downstairs was very good and had such a nice staff! We enjoyed our stay! The owners are super friendly and super informative. The room was spacious, quiet and comfortable, and came with a nice balcony. 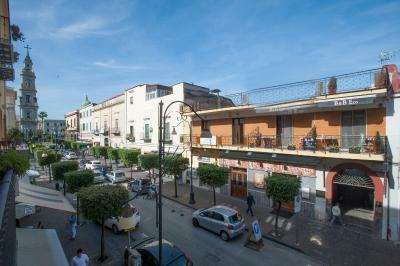 Set in central Pompeii, Eco is only 350 feet from the regional and national train stations. 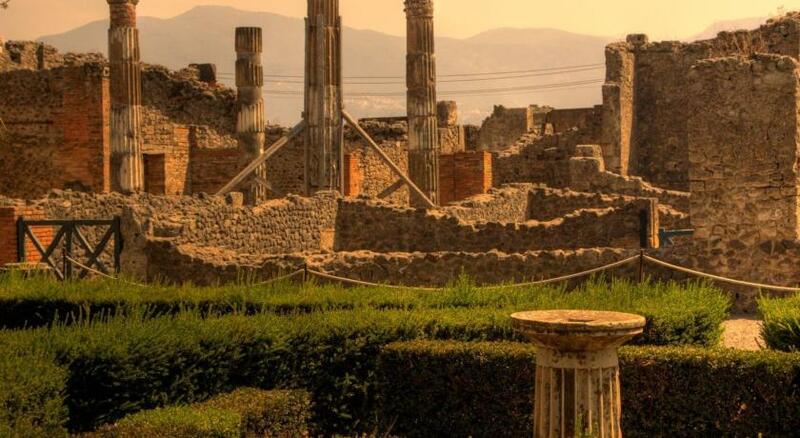 The unique ruins of Pompeii UNESCO World Heritage Site are a 5-minute walk away. Wi-Fi is free throughout. All air conditioned, the rooms feature a flat-screen TV, a work desk, and a private bathroom with free toiletries and hairdryer. Some have a balcony or a mini-bar. 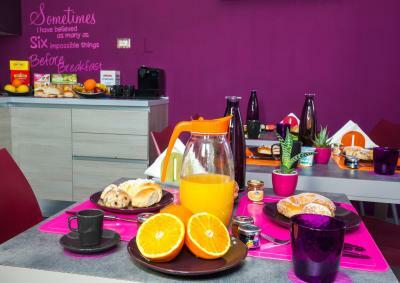 A sweet breakfast with croissants, hot drinks and jams, together with honey, fresh fruits and pastries is served daily in a shared space or in the guests' room. Parking on site is free at this eco-friendly property, and the Gulf of Naples shores are 3.1 mi from the property. 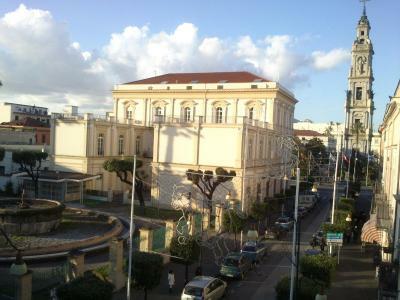 Naples is a 30-minute drive away. 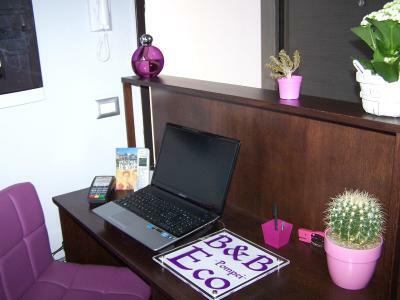 When would you like to stay at B&B Eco? 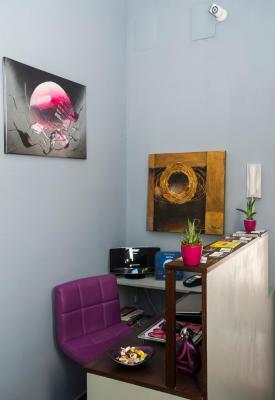 Air-conditioned room with flat-screen TV, a work desk, and private bathroom with free toiletries and hairdryer. Some have a balcony and Wi-Fi is free. Offering free WiFi, this air-conditioned room comes with flat-screen TV, a desk, and private bathroom with free toiletries and hairdryer. 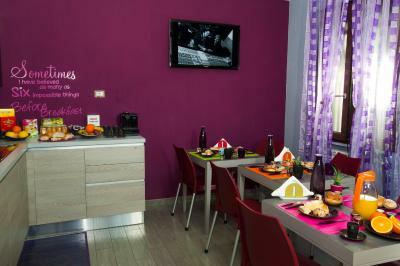 Air-conditioned room with a flat-screen TV, and a private bathroom with free toiletries and a hairdryer. Wi-Fi is free. Air-conditioned room with a private furnished balcony, a flat-screen TV, and a private bathroom with free toiletries and a hairdryer. Wi-Fi is free. House Rules B&B Eco takes special requests – add in the next step! ATM card B&amp;B Eco accepts these cards and reserves the right to temporarily hold an amount prior to arrival. B&B Eco accepts these cards and reserves the right to temporarily hold an amount prior to arrival. Please inform B&B Eco of your expected arrival time in advance. You can use the Special Requests box when booking, or contact the property directly using the contact details in your confirmation. The only point I would improve on is the shower. It is very small, and it does have a waterproof curtain. But if you move a little while taking a shower, and you inadvertently move the curtain while taking a shower, the water will splash all over the bathroom, and you end up with a flood. A minor snafu that happened to us on the first of 4 days, we quickly adapted to it and had no problems after that. Maybe replacing the curtain with a glass/plastic enclosure will take care of this. Other than this, everything was perfect. Gino is an outstanding host. Nothing - it was perfect. We really couldn't have wanted for more. 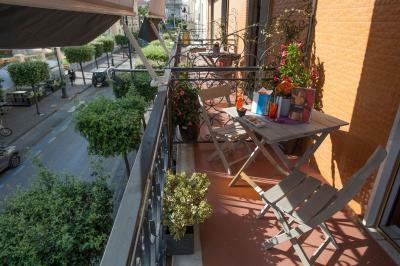 Lovely owner, brilliant breakfast, super location - everything. 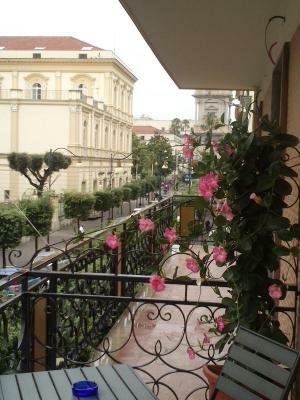 The accommodation is perfectly located for visiting the classical sights in the Bay of Naples, very close to some excellent restaurants and also the Circumvesuviana station. Extremely good value too. Only two drawbacks to staying at Eco - neither one could be controlled by the host. 1. A bit of street noise at night. Not too much of an issue if you're tired, but you will notice it. The street is marked as a "quiet zone," but the restaurants/bars will have activities going on late. 2. The city's water system will sometimes have a drop in pressure. When this happened, the hot water shut off because the instant water heater requires pressure to maintain heat. While this didn't happen when we were showering, it did turn off once. Alessandro immediately responded (within 15 minutes) and reset the system. We had hot water again in 30 minutes. 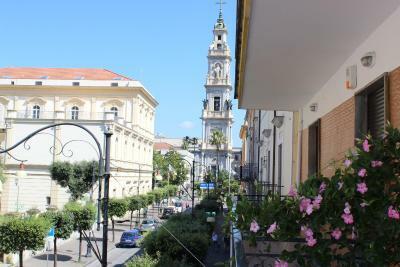 What an amazing location - in the heart of Pompei, 10 minutes walk from the ruins. 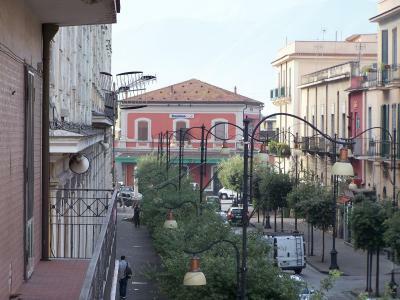 We were immediately greeted by the proprietor - Alessandro, escorted to our room, and offered directions to local sights within minutes of arrival. The best part? We arrived at 1105 in the morning and he was ready for us. Quick check-in, then off and running to see the sights. Liked the neighborhood - multiple restaurant options and since we like to eat like a native, we got plenty! Breakfast at Eco was continental and good. We got to experience some different pastries each morning and our host explained where they came from (homemade too!). Coffee/tea available 24/7, we were allowed to treat the apartment like our own. Room was comfortable, bed was good. This hotel was definitely better than expected! 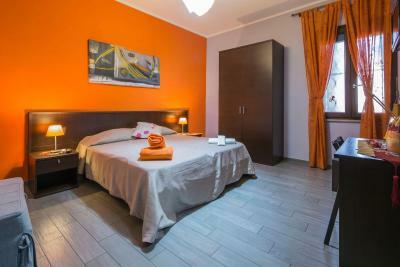 Very good location, beautiful, new, clean and cozy room. Small kitchen became really nice surprise (fridge, tea/coffee point). Administrator gave cool map with a lot of useful information and provided us with all necessary and valuable tips. 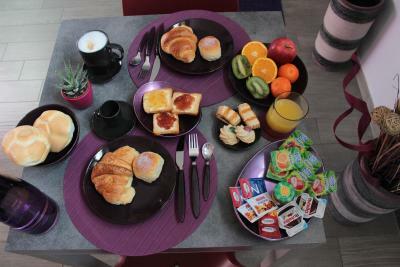 Breakfast was too sweet for me, but anyway it was tasty and served nicely. Easy access to the main station an old Pompeii is right around the corner. All the peoples who worked there were very nice would definitely recommend if your planning to stay in Pompei for a few nights. nothing!! perfect in everyway you wont be disappointed! 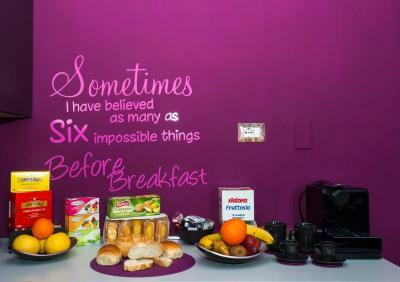 everything you could want from a perfect stay! 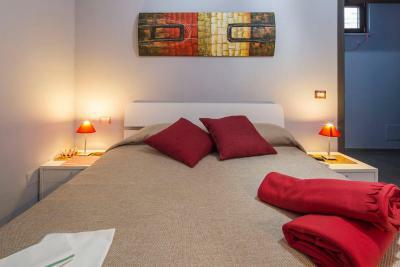 beautiful décor comfortable rooms well equipped, wonderfully warm friendly and helpful owners above and beyond duty that make your stay the most pleasurable experience possible! Awesome location! 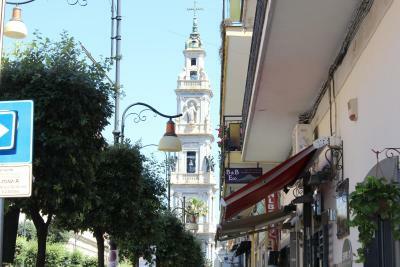 Short stroll to the ruins (which were amazing), no shortage of restaurants & bars close by. Our host was fabulous & delivered a lovely breakfast each morning. We had to check out early in the morning & were given breakfast to go!! Highly recommend! Comfy and clean room and bathroom. Handy kitchen/dining area. Fantastic central location. Gino was very helpful. 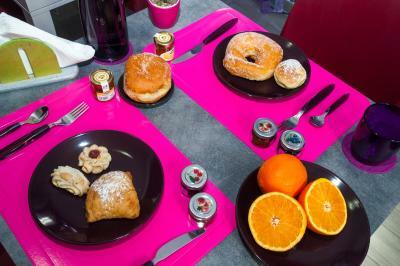 Good breakfast with fresh fruit and great pastries. Parking was convenient. Can't think of anything really , maybe shower glass cubicle instead of curtain. But that's just being fussy. 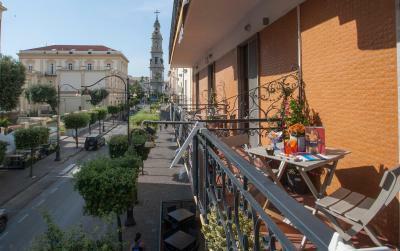 nice big bed , great balcony, good pastry selection for breakfast. Friendly staff and great location plenty of bars and restaurants close by. Close to ruins and transport connections to Sorrento and Naples. Rooms were very clean. 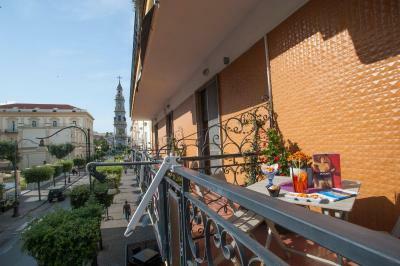 The property was immaculate, very close to train station, shops and restaurants. We had a lovely breakfast too. 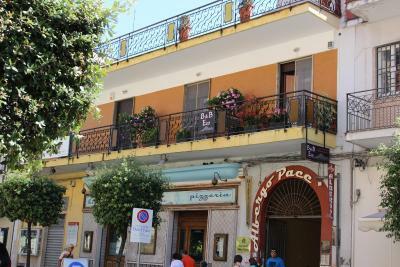 This is also in walking distance to Pompei ruins.Would definitely stay there again and would recommend to others. There were 5 of us so we rented 3 out of 4 rooms. 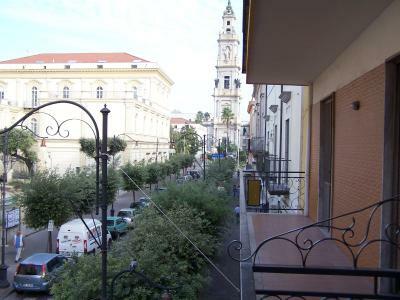 Location very central, air conditioning in bedroom and access to tea and coffee making faclities. Gino was friendly and helpful. Lots of local knowledge. We used the taxi transfer which ECO organised for us it was easy and convenient. Lovely room. We explained that because our flight was early in the morning, that we would be leaving before we could have our breakfast, which would of been served at 7.00am.My husband asked the owner if he could arrange for something for us to take away, and that I was a vegetarian. He agreed, as our breakfast was paid for and included in the booking. That afternoon, we returned to our room, where a paper bag contained 1 small bread roll, with a small slice of cheese, x2 small cartons of juice, and 2 small sweet pastries, with x2 empty bread rolls. Very disappointing!!!!!! There were no staff on reception available to complain to. We tried calling the B&B’s direct number, and the telephone number outside the door, and no response!!!!! We left a note at the reception, with the bag that had been prepared for us, asking if they could arrange something more suitable. In return to our room, after an evening out, we still had no response, and the note and the note and bag was still on reception. We left the B & B that morning at 2.30am, feeling very dissapointed. No contact was made from the owner. Lots of stairs to climb!!!! No one available on reception in the afternoon or evening. Did not respond to phone calls whilst we were in our hotel room.